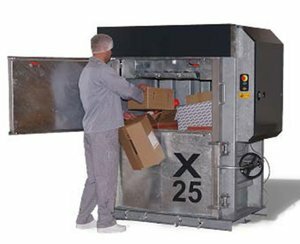 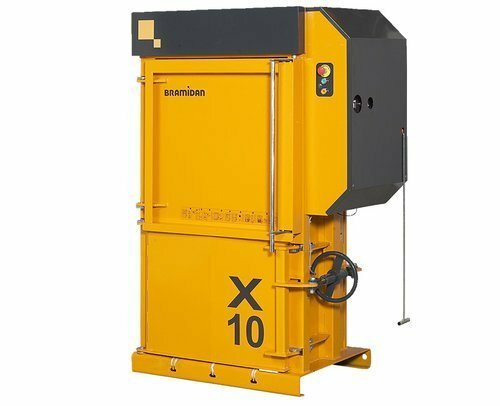 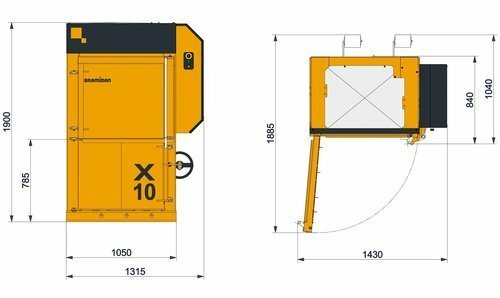 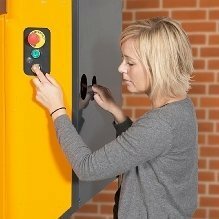 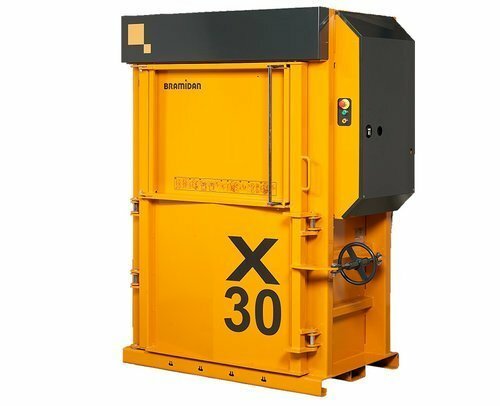 The X10 is suitable for smaller retail shops, industrial companies or other companies, who need a compact baler with high capacity. 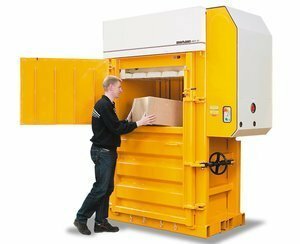 The compact design makes it ideal where space is limited. 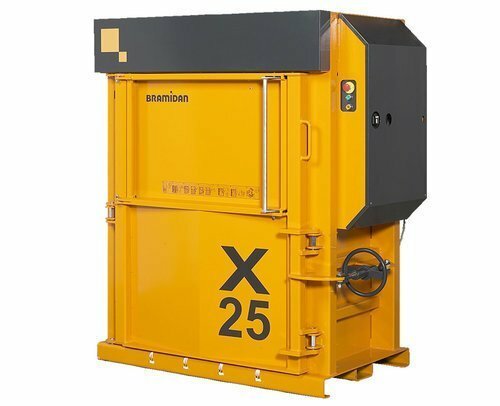 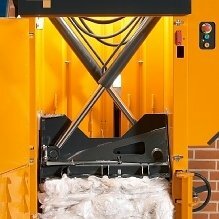 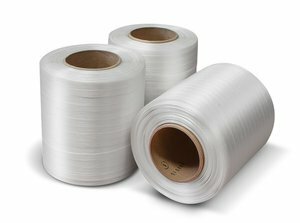 Equipped with cross cylinders, this machine offers superior press force but also a very low overall height. 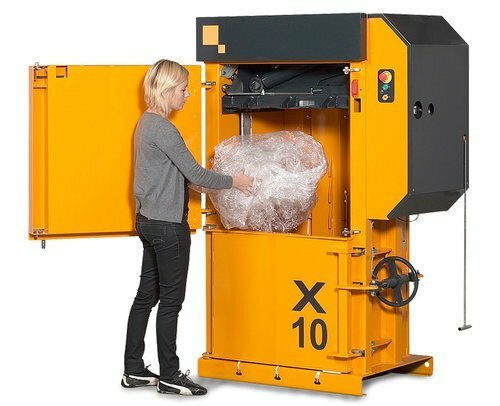 The X10 has a relatively large filling opening, making the daily operation as easy as possible.